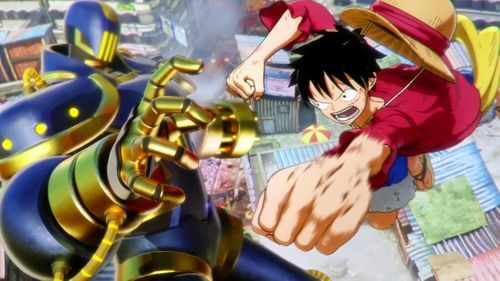 BANDAI NAMCO Entertainment Europe today shared new gameplay footage for ONE PIECE WORLD SEEKER, revealing a host of new features to coincide with the release date announcement of March 15th, 2019 for PlayStation 4, Xbox One and PC Digital. As well as traversing the seamless world using Luffy’s acrobatic Gum-Gum fruit abilities, we are introduced to Luffy’s two main action modes (Haki). The first, the strength-based Arm Haki, focuses on raw power, allowing Luffy to unleash overwhelming force upon his opponents. The second, the subtler Observation Haki, allows Luffy to slow down time as well as improving his sneaking prowess with stealth attacks and the ability to see through walls. The gameplay footage provides a first look at the Skill Tree and Crafting/Cooking mechanics. 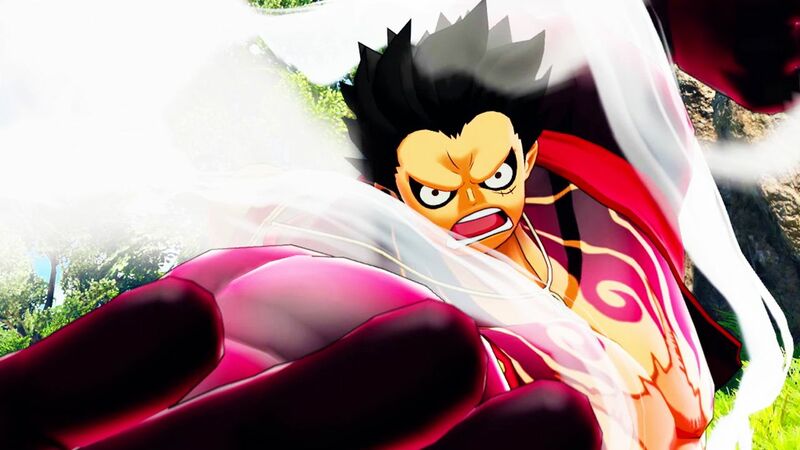 By completing missions and progressing through the game, Luffy will be granted Skill Points that enable players to upgrade his powers and abilities via the Skill Tree to better suit their own play style. 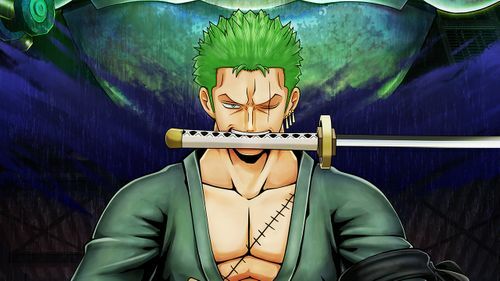 Crafting is accessed via Usopp or Franky, two of Luffy’s Straw Hat Pirate Crew, who can use items found by Luffy in the world to create new items and equipment, while Sanji can cook Lunch Boxes for the rest of the crew – enabling them to explore the islands and gather additional items for the players. Finally, Luffy’s supremely powerful Gear Fourth mode is revealed for the first time, giving players access to powerful new combat skills and traversal techniques – but only for a short amount of time. Also revealed today is the collector’s edition of the game, The Pirate King Edition. 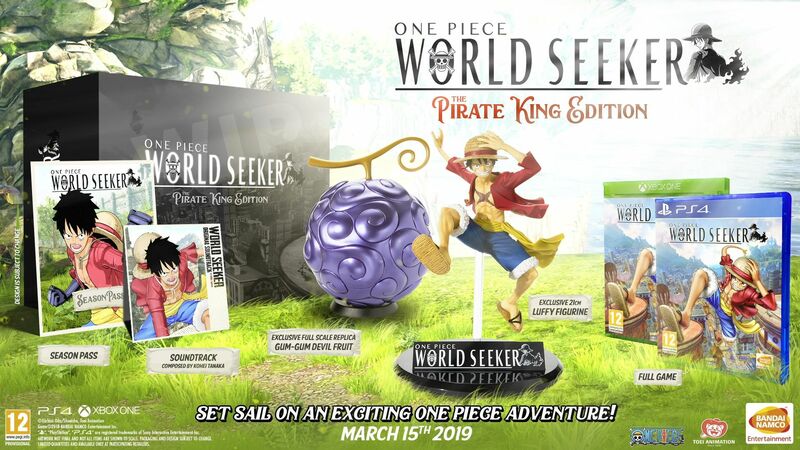 As well as a copy of ONE PIECE WORLD SEEKER, this version will feature an exclusive 21cm Luffy figurine, a replica of the Gum-Gum devil fruit, a CD featuring the original soundtrack of the game composed by Kohei Tanaka, and the Season Pass. 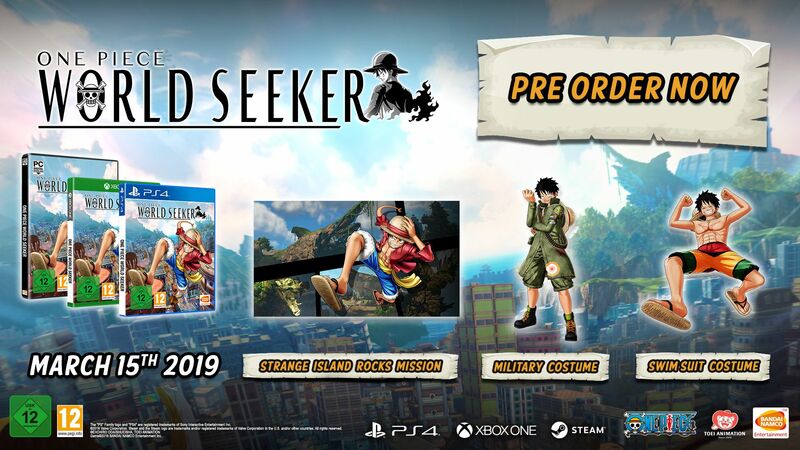 Fans that preorder ONE PIECE WORLD SEEKER will also gain access to an exclusive mission that reveals the secrets of the mysterious monster-shaped rocks of the island, as well as two unique outfits, the Luffy military costume and the Luffy swimsuit costume. 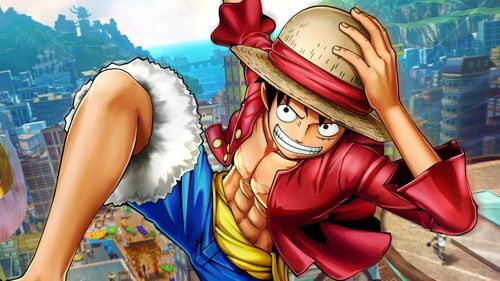 PlayStation 4 players will also receive an extra item – the ONE PIECE WORLD SEEKER dynamic theme. 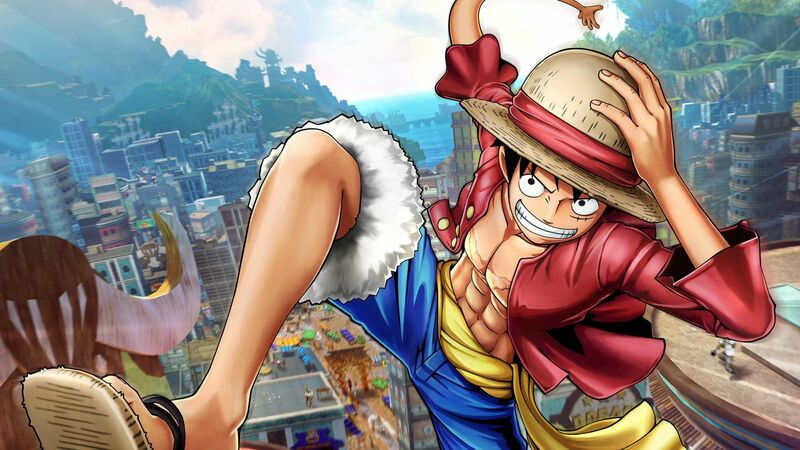 ONE PIECE WORLD SEEKER will be available on March 15th, 2019 for PlayStation 4, Xbox One and PC. JUST GOT A NEW GAME ? Enjoy Betas, Promotions, Exclusives and Gifts!